Learn How to Become a Life Coach. Becoming a certified life coach is an exciting professional journey that will impact your career in the long term. Hundreds of online certification programs exist to educate and train you on what it means to succeed as a coach, but only some set the gold standard for qualifying you to master the profession. Learning to become an expert of habit change requires choosing a reputable program that teaches you foundational techniques such as motivational interviewing, experiential exercises, and more. If you are researching life coaching certification programs, explore these top affordable options to narrow down your search of high quality schools. Each option below is ICF accredited, meaning you are guaranteed a comprehensive learning experience to prepare you for a successful coaching career. The Coach Training Alliance (CTA) coach certification program is an affordable online school with a six month long program. The program investment of $3147 is a competitive price point given that most online certifications range from $2500-10,000 total. Luckily, CTA offers seasonal deals to help new students save upon enrollment, including a recent promotion with the option to save $350 using early enrollment. Taking advantage of early enrollment promotions is an exciting way to begin your coaching program, especially if you are certain that this is the career for you. You can expect your program to last about six months depending on your learning schedule. The learning style of CTA is diverse and interactive while also easily accessible with online learning. Live online classes are the main method of delivering the trademarked Coach Training Accelerator course curriculum, and these lessons are supplemented with interactive software. The self-study feature is perfect for the flexible learner, with study tools available for you to catch up at your own pace. You will also benefit from professional feedback on your growing coaching style through small group coaching classes of 10-15 people. If you are new to the idea of coaching, an attractive bonus of the CTA program is its marketing and business lessons, which teach you how to land clients and support your new business. You will also benefit from post-program marketing tools including their alumni directory website used to promote businesses. The CTA delivery style and flexible learning are perfect for a new coach looking for a comprehensive and affordable learning experience. The iNLP Center is a flexible learning course designed for the self-paced learner. The fully-online coach certification program contains the foundations of coaching delivered through virtual training sessions and workshops for skill building. A unique competitive aspect of the iNLP center is its focus on creating habit change through the mastery of neuro-linguistic programming in the brain, a technique that can add dimension to your future coaching style. The iNLP center offers this perspective in varied detail both of its coaching programs, with price ranges between $2400-3200 depending on program add-ons. An additional attraction for a new coach looking to immediately specialize in certain techniques is the iNLP Center hypnosis certification. This training is included in both program options and is a form of experiential exercises available in the “toolboxes” of new coach skill sets. As an iNLP student, you can also take advantage of the business and marketing trainings included in both program packages. The option for practice partners and complete self-study makes this program a sensible choice for new coaches who are specifically interested in an NLP approach who need a flexible learning style to fit into their busy worlds. The Universal Coach Institute (UCI) is an immediate all-access coach certification program designed for the self-study student who would like to direct their own program experience. The surprisingly low investment price is due to the certification process resembling an online course experience completely directed by the learner. There are support infrastructures in place to enhance your learning, but there are no live classes or workshops as in the previous programs. UCI does provide live group support sessions for both business and general coaching techniques, which are beneficial if you come across questions or challenges during your self-study. One competitive aspect of UCI’s program is their collection of downloads and worksheets designed to help your new coaching practice run smoothly. These range from experiential exercises to client financial email correspondence templates, and even include scripts for business calls. This 100% online learning style is helpful for the hands-on coach who prefers compiling their tools into binders and easy-to-access collections in their practice. This course is not recommended if you rely on feedback and interactive sessions with instructors throughout your course, but may be a great fit if you are self-directed and require a flexible self-study method. iNLP is the best fit for a new coach who is thinking to specialize in a specific method (NLP) but still has yet to learn the foundations of coaching before mastering their niche. 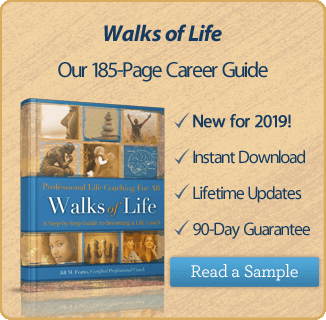 Choosing a life coach certification is no easy task, so weigh these program benefits based on your specific learning style and specialty preferences. Based on the in-depth curriculum delivery along with supportive group coaching and varied learning methods, the Coach Training Alliance program best prepares new coaching students to master the craft. Receiving feedback is a powerful learning style for new coaches and the proactive CTA staff support available sets it apart from other programs. As a new coach, your foundational skill set is what matters most, and CTA boasts a comprehensive strategy to help you learn and apply those skills with feedback along the way. Investing in the trademarked Coach Training Accelerator program will ensure you are receiving the gold standard in education as you prepare for a successful coaching career. In today’s busy and modern world, life coaching has become a huge phenomenon, and it’s not hard to see why. With all the challenges presented by modern technology and increased demands on the workforce, life coaches serve to help us navigate a chaotic world. Unlike other similar professions, life coaches adjust to your personal vision of the business you have dreamed of building. Best of all, coaching services can be remote; you can meet and work with your clients via phone and the internet, right in the comfort of your own home. By now, you’ve probably done a lot of research about life coaching and decided that you want to become certified. In your research you will have learned that it’s very important for your business success and your reputation that you become a certified coach. So, with that in mind, let’s discuss the best life coach certification programs out there. What Criteria Should I Be Looking For? Location is important, although do remember that life coaches can be accessed by their students almost anywhere via distance learning options. Ensure that your program is flexible enough to suit your lifestyle – take into account whether you also work, in or out of the home. Can you complete your course, at least part of it, through distance learning? In today’s world distance learning is very common, and desirable to a lot of students. 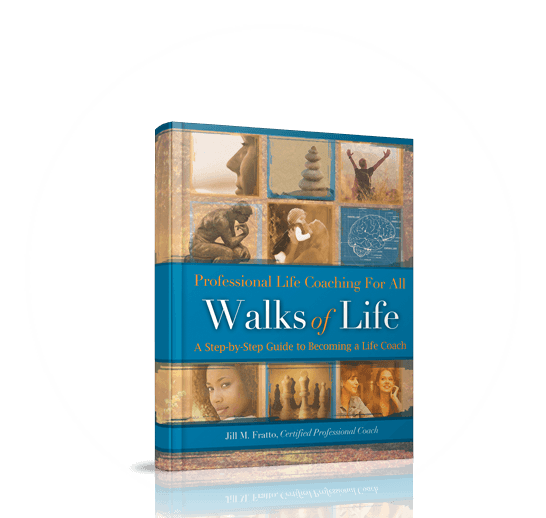 Does your life coach program provide a wide choice of courses to choose from? In addition you will need a lot of support, both during and after your course is completed, so ensure that the program you decide to go with has a strong focus on support. Do you know exactly what you’re paying for? Are your costs all-inclusive, and are you aware of what this covers? Have you researched the school you have decided to go with and checked their reputation, as well as their representation in the wide world of life coaching? Listed below are three notable schools that meet all the above criteria. Keep in mind that there are many more that are well-worth mentioning, however these three schools will give you a good start in your research. 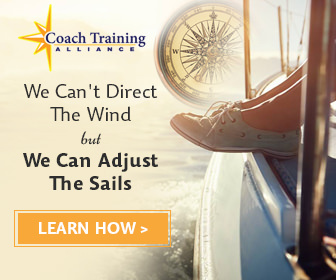 More than any other training program, we believe Coach Training Alliance is the best choice for most students looking to start their own coaching practice. While most programs will primarily focus on the academics, psychology, and techniques of coaching, the ICF-accredited Certified Coach Program at Coach Training Alliance goes one step further. In addition to covering the academics, CTA places a unique emphasis on the business of starting your own coaching practice and will ensure that each and every student that graduates is not only ready to be a coach, but a business owner as well. Many programs will touch on the business aspects of coaching, but Coach Training Alliance is the only program we know of that will cover it in its entirety. In fact, having at least two paying clients is a requirement for graduation. The coaches at CTA provide students with the support and training to develop a marketing plan, and they will work with each student until two paying clients are secured. No other program we’ve come across provides this level of accountability. Best of all, CTA offers one of the most affordable life coach training programs on the market. Completing their Certified Coaching Program will run you about $3,100. As you’ll see, most programs of this caliber will charge anywhere between $5,000 to $15,000. Click here to check out everything their Certified Coach Program has to offer. This Institute has arguably one of the best known training programs in the coaching industry, largely because they’ve been running these programs for more than twenty years. A whopping 35,000 coaches have completed their program since the Institute was founded. The ICF was created largely by the founders of CTI, and these same people contributed to the ICF competencies and ethics. In fact, the CTI was the very first training school to receive ICF certification. Co-Active Coaching was also written by the founders of the CTI program, and this is widely used by other training programs and coaches. Locations include Singapore, Canada, and thirteen United States locations in major metro areas. The CTI program teaches the proprietary Co-Active Model, knowing that students possess the knowledge of what is best for them. The role of the coach is to be authentic, encouraging, to listen intently, and to help their students rise to their highest natural state. The trainers at CTI are well-respected and leading coaches in their field, ensuring a high standard in the coaching profession. Their training approach includes extensive in-person coaching, marketing and business support, professional practicum for certification, followed by ongoing support for students after graduation. The course at CTI consists of five in-person courses, with a certification program to follow. The courses are face-to-face from Friday to Sunday. Once these courses are completed and the student has attracted five paying customers, they are then eligible to enroll in the certification program. This includes one-on-one supervision with a dedicated coach in order to refine and deepen their coaching skills. The certification process is done by phone and takes six months. Once both these components have been completed, the student must take both an oral exam and a written exam in order to receive their certification. The complete process will take roughly twelve months and the cost of same is in the vicinity of $10,000 – $12,000, dependent upon, of course, on how the program is undertaken. Courses can be purchased a-la-carte, but will be more expensive this way. Have a look at their website, or give them a call for further information and for specific pricing structures. iPEC is one of the top coaching schools in the United States, standing out from other training programs because of its successful track record in the coaching industry. Its training process and philosophy are second to none. Located in New Jersey, with training locations in the United States, the United Kingdom, and Canada, fourteen of these locations are in metro areas in the United States. At iPEC most of the training is completed by phone and online, with three modules of three days duration each completed face-to-face on-site at the training locations. This provides greater flexibility and ease for students, as well as facilitating personal contact with coaches and peers. iPEC was founded by Bruce D Schneider, PhD and MCC, and it was his work that founded the experiential approach to training. The proprietary methods used at iPEC include the Core Energy Dynamics TM and the Core Energy Coaching TM process, both of which were created by Schneider. Coach trainees at iPEC can specialize in business, life, executive, and career coaching, plus a range of sub-specialties within each category. There are three face-to-face modules, including a number of virtual education modules, making up a total of more than 350 hours. Each trainee has their own Mentor Coach to help with the development of their skills. There’s a peer and business support program, extending beyond completion of the program. While in this niche-based training program, there are nine options to choose from while in training. The iPEC training program has been fully accredited since the year 2002, so it’s not new to the ICF. Once the program is completed, successful participants become Certified Professional Coaches, fully accredited and recognized by the ICF. Costing for this program is $9,895.00 all inclusive. This fee covers all mentor coaching, instruction, and materials. Costs for lodging, food, travel, phone calls etc. are covered by the student. When doing research on training schools, keep an eye open for any specials being offered, because sometimes tuition specials can be found. There are many more really good coaching programs out there: the three mentioned above have wonderful reputations, however, there are a lot more coach training schools that also deserve recognition. Perhaps this short review will give you motivation to do your own research and find the training program that ultimately suits your needs best. You can do a search for accredited programs on the International Coach Federation’s website. Ensure that you do your research thoroughly, ask your questions and make sure you get the answers that you need for your own training. The program you choose must reflect your own personal philosophy and style, because each student has different needs. Coaching is a wonderful investment both professionally and personally, so you must be very confident that you have chosen the right program to suit your budget and your time.